Fun Spelling Games for Kids! Use our free spelling games for kids and see how much learning fun your students will have. Our games are simple to prepare, simple to teach and fun to learn! These games cover a wide range of ages/abilities. Scroll through this list to find games appropriate for your child or students. Tic Tac Toe Spelling: Just about everyone of has grown up playing tic tac toe. Here's a new class spelling game kids will really enjoy. For any grade level. Spelling Relay and Buzz-Buzz: Two simple and effective games that can be played with your entire class and require no paper and pencil. These games are great for reviewing spelling words at any grade level. 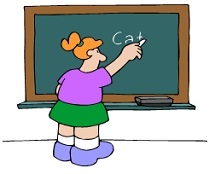 Cover Up: Decide if words are spelled correctly or incorrectly. This free spelling game is for three players and uses printable game boards. PDF included. For grades 4-6. Team Spelling Bee Game: The only supplies you’ll need are the chalkboard and chalk (or whiteboards and markers). For grades 2-6. Waffle Words: A fun word puzzle based on a popular commercial word game. This puzzle works for grades 2-4, but you can make your own puzzles using this format for any grade. Change-A-Letter Here's an easy-to-play game for grades 2-3, with a harder variation for older grades. 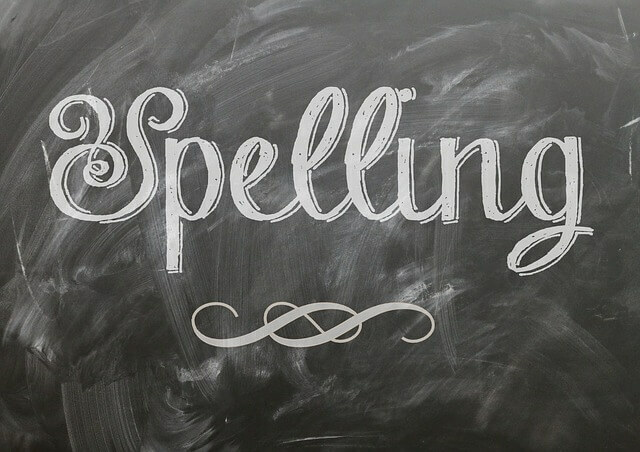 Your students will want to play this spelling game over and over again! For more spelling games, activities, and worksheets, visit Spelling Words Well. You'll find LOTS of spelling bee resources, too! Rabbit Reading Race: One of our most popular games! Players read and complete sentences with high-frequency words as they race to the finish line. Lots of fun! Sight Word Bingo: A ready-to-print Bingo game with some of the most basic sight words for beginning readers. Quick Draw - Free Reading Game: Kids must follow directions and draw simple objects correctly. Accurate reading comprehension is a must! Students can add additional directions, making this a game to reuse throughout the school year. 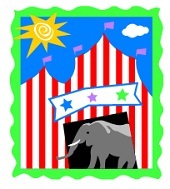 Come to the Circus! Step right up to the big top for this fun word search puzzle with 25 words. Our Kids' Crossword Puzzle Collection - Correct spelling is a must with each of these puzzles, written on many topics and many levels. Find more Spelling Games for Kids at Spelling Words Well!